Home ARCHIVED NEWS 2018 Those motorcycles again • Where is the horse trail? 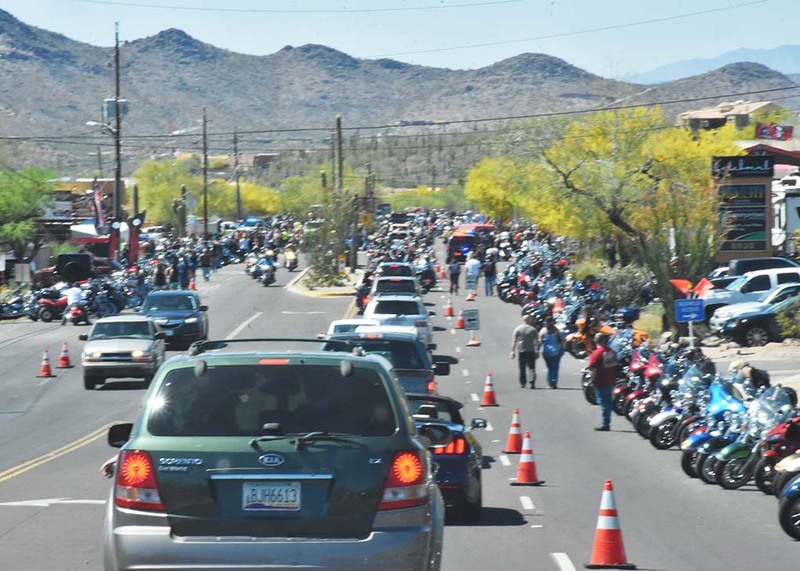 Thank you Scottsdale for attracting motorcycles that otherwise would have loaded our one and only road through town on weekdays during Bike Week. We did however, pay the price on both weekends. On Saturday, April 14, I drove from Tom Darlington in Carefree to Schoolhouse Road in 22 minutes, a new slow record? There were five MCSO vehicles near the Hideaway with lights flashing trying their best to speed up traffic but the huge mass of humanity chose jay walking rather than the crosswalks. Cave Creek, long a victim of Crony Capitalism (CC), continues to trust without verifying as the popular motorcycle bars like the Hideaway and Roadhouse continue to operate on a cash basis without audit. This allows town officials to argue tying up our single artery through town is good for tax generation with no proof. Tying up Cave Creek Road for businesses while allowing them to place out of town vendors in their parking lots is shameful and shouldn’t be allowed. There is potentially good news in August when elections are held. Voters need to vet each person running and pin them down on the issues above. We need councilmen and councilwomen who vote in favor of our citizens rather than continuing the out of control CC. Where is the horse trail? 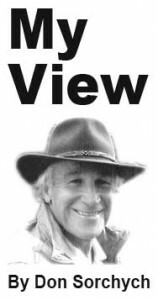 A horse trail was planned beside an easement I share with Gerald Freeman. The trail would cross the easement in two locations. The first is at the eastern end and the other is where Cave Creek crosses the easement. The trail would connect with the existing town trail which runs on the northern side of Morning Star Road from Old Stage Road to Spur Cross Road. When the plans became clear Freeman filed suit against Cave Creek, President Mark Stapp of Morningstar Properties (formerly Cahava Springs) and me and my wife. The only dog we had in the fight was we favored the horse trail. But, as consequence I attended most court hearings. It is worth mentioning that current council member Eileen Wright attended most meetings with the Freemans and also left with them. At that time she was a Planning and Zoning committee member. I understand she has pulled a packet to run for mayor. She ran for Trenk’s council earlier and Freeman had donated $900 to her candidacy. The Town of Cave Creek and Stapp won the case. Freeman appealed. He lost and appealed to the Arizona Supreme Court and lost again. So what is the hold up? Town Trails Coordinator Bambi Muller says they are ready with a plan and budget but are waiting for Morningstar Properties. Stapp says they are still building infrastructure for the subdivision he’s working on. The property has water which they are using for dust control. Stapp is unable to provide a date to start the trail but said we should soon be hearing they are trying to get access through private Cahava Ranch Road by use of prescriptive rights.